Carrier Member information can be sorted relative to the type of service they offer. Summary of Operations: We are a fleet is comprised of Tri-drive and Tandem Tractors equipped with fuel , crude oil and produced water pumping equipment along with a fleet of super b trailers and wagons. Summary of Operations: We specialize in hauling dry bulk goods such as bark mulch, peat moss, wood chips, hog fuel, sawdust, or any other item our customer may need hauled within Alberta, with our fleet of 53’ walking floor trailers. Summary of Operations: Our mission is to provide fast, friendly and reliable Courier and Hotshot Services throughout Canada. Summary of Operations: Hauling general freight, heavy freight and oil. Also has a cattle liner and Super B flat decks for hire. Summary of Operations: Busing Firefighters for ESRD (Alberta Agriculture and Forestry). Summary of Operations: Our fleet is equipped with RGN's, quad axles, tri axles, low pro, step deck trailers, super b's and all other necessary equipment to transport and deliver large and heavy asymmetrical loads. Hauling over sized equipment requires expertise and a lot of experience in the transport and shipment industry. 520 Transport has years of extensive experience in transporting equipment or cargo of any size, especially over sized equipment such as generators or manufacturing equipment, or even Hay Bales. Our trucks, trailers, and shipping equipment are tailored and tested to meet any hauling challenge and our team of seasoned drivers are prepared to exceed your expectations.520 Transport has years of active involvement in shipping dry bulk commodities and is highly knowledgeable of all critical procedures of dry-bulk operations. We offer unmatched experience and expertise in efficient loading and discharging of commodities to facilitate proper timing and minimal cost. We have maintained a solid track record of providing first rate service to well known dry bulk entrepreneurs around the world. We are proficient in handling any transport and shipping tasks, including but not limited to farm equipment, construction materials, palletized goods, and irrigation. Summary of Operations: Oilfield transportation. 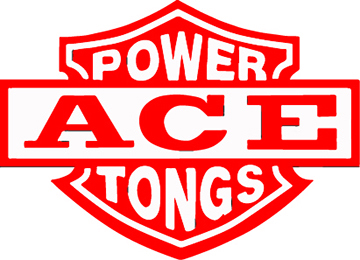 Ace Power Tongs and Energy Services Inc.
Summary of Operations: Action Trucking is a full service trucking company that specializes in flat deck service throughout Western Canada. We serve the Fort McMurray oil sands on a daily basis. Summary of Operations: Established in 1989, we have grown into an industry leader with multiple locations delivering bulk fuel, lubricants, technology, and equipment to more than 1000 customers across Western Canada and Alaska. Summary of Operations: Agrifoods and its subsidiaries provides both transportation, and wholesome food products. A 100 per cent Canadian owned Co-operative believing in its people, honesty and providing customers with service that exceed their expectations. Summary of Operations: Tractor service and general freight. Summary of Operations: Air Liquide Canada is a subsidiary of Air Liquide Group, the world leader in gases, technologies and services for Industry and Health. We manufacture and deliver a variety of bulk cryogenic liquids operating a fleet of tractors and specialized trailers in most all geographical areas of Canada. Alta-West Bus Charters (2009) Ltd.
Summary of Operations: Providing charter services within Western Canada, including the Territories, we offer a well maintained fleet of 56-passenger coaches with Wi-Fi and air-conditioning. Summary of Operations: AltaLink is Alberta's largest regulated electricity transmission company. Our transmission system is the essential link that connects homes, farms, businesses and industries to the electricity generated across Alberta. Summary of Operations: We move LTL between Delta, Kelowna, Kamloops, Edmonton and Calgary. Our current truckload is 80 trailers. Summary of Operations: Our bulk group offers mid to large-scale services to industrial customers across Canada and the United States. We have multi axle trailer configurations, flat decks, step decks, trombones and many other units available on contract and spot volume basis. Summary of Operations: Independently owned and operated .Fleet consists of heavy boom trucks, winch trucks and various trailers for oilfield hauling built for moving in difficult weather and off-road conditions. 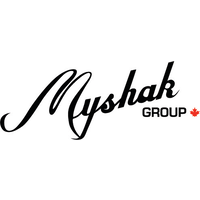 Summary of Operations: 100 per cent Aboriginal owned company specializing in installation and transportation of access matting, low bedding equipment, gravel hauling and load and haul for the logging industry. Equipment includes 14 well maintained and newer semi-trucks, two low-beds, one step-deck, 1 Komatsu excavator and more. Summary of Operations: A business dedicated to answering healthcare's biggest issues of time-definite, temperature controlled transportation. Today, ATS Healthcare is the largest, most reputable provider in Canada's temperature controlled healthcare transportation industry. 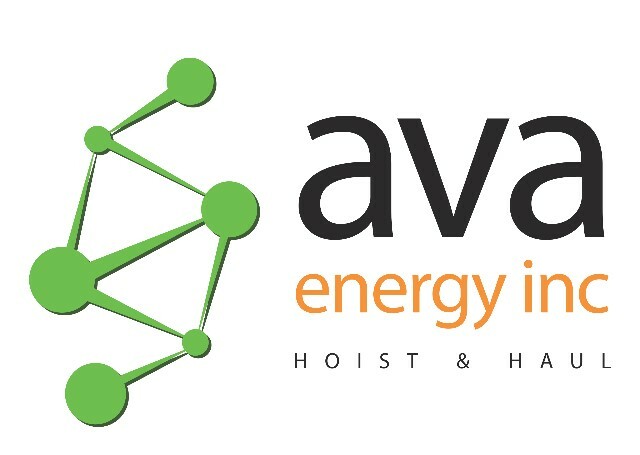 Summary of Operations: Ava Energy Inc. specializes in dry bulk, heavy haul and oilfield. Summary of Operations: Aveda Transportation and Energy Services is a rapidly growing oilfield hauling and rentals company serving customers’ rig moving, oilfield services, specialized transportation and oilfield rentals needs across North America. Summary of Operations: Bandstra is an LTL and Truckload Company with Terminals in Edmonton and throughout B.C. We supply van, deck, B-Train and reefer service. Summary of Operations: Bassani Transportation Service Inc. is comprised of a small group of dedicated professionals who refuse to be known as “just another trucking company”. Choosing the right trucking company for your equipment hauling is a serious decision. One small mistake can lead to thousands of dollars in damages and losses. Summary of Operations: Bert Baxter Transport Ltd. includes Canada/U.S. long-haul, flatdeck and overnight LTL service. We also cover Edmonton, AB to Estavan, SK and oilfield. Summary of Operations: Bess Tank Lines has been operating in Calgary, Alberta since 1999. We've been well established in Eastern Canada since the mid 1970’s. Our mother company is better known as B&B Transport. Big Time Towing & Recovery Ltd.
Summary of Operations: Light, medium and heavy-duty towing and recovery company. Summary of Operations: Bison Transport is a multiple-award winning Canadian transport company that employs the latest technologies to operate one of the largest, most modern fleets in the industry. Offices and facilities throughout Canada. Summary of Operations: BKE Transportation Services is a full service trucking company serving the oil + gas , construction and railway sectors throughout Western Canada. Family owned and operated for over 20 years, we have built a solid reputation based on hard work, dedication & innovation. With a versatile fleet of 17 power units and over 30 trailers, we are fully equipped to meet all of your transportation needs. Summary of Operations: Transporting loads in the city of Edmonton and surrounding area using transport trucks, five ton deck/box truck, one tonne/goosenecks, cargo vans, dump trucks and pickup trucks. Summary of Operations: Seven board-owned buses. Summary of Operations: We are a transportation company that focuses on the oil and gas industry. We're looking to expand into highway hauling moving forward. Summary of Operations: Blu's North Logistics Inc. is a full service transportation company that specializes in servicing the North. We provide service to Northern BC, Yukon and NWT but are not limited to these destinations. We provide LTL transport, deck freight and equipment transport. Our trailer combinations include 53' vans, flat decks and step decks, super B decks and various equipment trailers from six to 10 axles. Like many Alberta-born businesses, we are built upon traditional values of hard work and dedication in providing the best customer service possible. Summary of Operations: Boss Hauling Ltd is a licensed and bonded freight shipping and trucking company running freight hauling business from Calgary, Alberta. Boss Hauling Ltd ..
Summary of Operations: Transporting goods for oilfield and pipeline throughout Canada. Summary of Operations: Oilfield hauling, pickers, winch tractors and bed trucks. Summary of Operations: Light oilfield hauling with a one-tonne pickup. Summary of Operations: BURNCO is a 107-year old, fourth generation, aggregate construction materials company with over 70 locations in Alberta, British Columbia, Saskatchewan, Colorado and Texas. 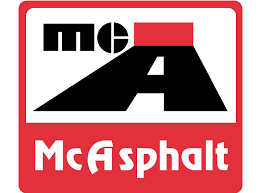 Headquartered in Calgary, our family-owned and operated business produces top quality aggregates, asphalt and ready-mix concrete along with operating an extensive network of retail landscape centres. Summary of Operations: Federally regulated company hauling equipment and oversized products. 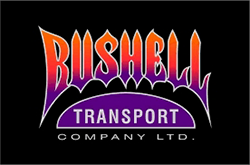 Bushell covers transportation needs throughout Canada and the U.S.
C’s Oilfield Consulting & Construction Service Ltd.
Summary of Operations: We offer general oilfield consulting, construction and maintenance; single pad well and multi pad well completions and re-completions, B-pressure portable rig welders and more. Summary of Operations: Charity - collection and distribution of food in relief of hunger. Summary of Operations: We transport Construction and demolition debris exclusively. 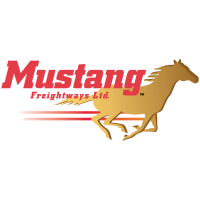 Summary of Operations: Since 1935 Canadian Freightways has been providing reliable, accountable transportation throughout Western Canada and across the continent. With multiple locations across Canada and the U.S., the Canadian Freightways network offers a comprehensive supply chain solution package. Summary of Operations: As a CN subsidiary, our company handles container pickups and deliveries between CN intermodal terminals and customer locations. We offer the best of both worlds, pairing the efficiency of rail with the added flexibility trucking can offer to better serve our local and regional customers. This integrated solution helps our customers save time and money. As part of the our supply chain services we are also positioned to execute over the road moves. Summary of Operations: Specializing in oil and gas medical services, Canadian Paramedical Services has a team of EMT's, EMR's, Paramedics, Physicians Assistants, RN's and Occupational RN's, fully certified and serving our clients' needs anywhere in Canada including Alberta, British Columbia, Saskatchewan and Nunavut. Our operations staff includes a Paramedic of 30 years, and a MD of 7 years, both with experience in oil and gas. CPS also has developed partnerships throughout Western Canada for oilfield and mining services with aboriginal joint ventures. Our partner Willow Lake Paramedical Services is an example of our ongoing efforts to provide the most complete medical services to our clients involving aboriginal communities. Canadian Pressure Testing Technologies Ltd.
Summary of Operations: We provide oilfield equipment rentals. We also have hydro testing and test fluid hauling (fresh water, glycol/water mix and methanol/water mix). Summary of Operations: Canwest Propane is a leader in providing innovative propane solutions, timely distribution and flexible customer service programs to customers across Canada. We offer propane supply, distribution, equipment and related services across a wide variety of sectors and industries. Canwest is committed to excellence in health and safety. We will not compromise the safety of our customers, employees or the environment. Canwest’s comprehensive HSSE program calls for stringent requirements for employee training, equipment maintenance, installation compliance and environmental awareness.Unparalleled customer service is the defining trait for which Canwest has become best known. Summary of Operations: Pickers up to 50-tonne with 200 foot reach, various sizes of tractors, tandem bed trucks, 135 tonne crane, 48 wheelers and 125 tonne, 92 wheeler, heavy haul. Summary of Operations: Carlile’s fleet and terminals across Alaska and North America provide the capacity to move your project forward. But our people make the difference – experienced, innovative and committed experts you can count on. Summary of Operations: Caron is one of the largest carriers of bulk commodities in Western Canada with a service area covering western, central and northern Canada and the northwestern United States. Caron provides safe, dependable service to the construction, manufacturing, mining industries and more. Summary of Operations: CCA Truck Driver Training Ltd. began in 1981 as a one man operation with one truck, one trailer and a briefcase for an office. Today the driving school occupies a 1600 sq ft office with two classrooms, as well as a three acre training yard. 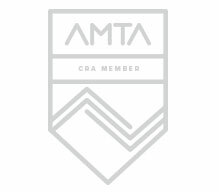 CCA employs six full time and five part time instructors. Summary of Operations: Unique to CCT CANADA is our ability to provide both Expedited Road and Premium Rail alternatives for your freight from Ontario and Quebec to Western Canada. CCT CANADA can meet your needs with team drivers and our exclusive “first on first off” retail freight system for your intermodal containers. You can enjoy the benefits of two distinct services from one supplier. Summary of Operations: We strive to meet customer requirements, exceed customer expectations, and to identify future customer needs. Our long term focus is building genuine customer loyalty by putting the customer first, doing it right the first time, and by going the extra mile. Summary of Operations: Central Carriers (Edmonton) Ltd. is a common trucking depot which represents 24 trucking companies and it is cooperatively owned by some of these companies. We do city pickups and deliveries for our carriers who service most of rural Alberta as well as British Columbia, Saskatchewan, Manitoba, Ontario, and Quebec. Summary of Operations: We specialize in curtain-side trailers hauling freight throughout Alberta. We haul all types of dry freight from boxes to large lumber and steel lifts. We also have power tailgates, dry vans, flat decks and straight trucks available. Summary of Operations: Light hauling in Alberta only. Mostly oilfield hotshot delivery with some general freight and pilot car services. Summary of Operations: Since 2005, Challenger Rig Rentals Ltd. has been setting the standard for oilfield rental equipment. 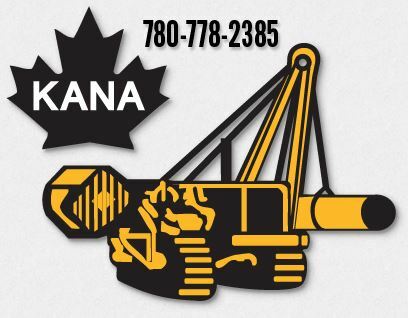 We provide equipment rentals, service technicians and equipment hauling throughout Western Canada. We offer the best of both worlds, timeless values like honesty, hard work and integrity delivered by a driven, energetic team with a focused approach. Summary of Operations: Trucking company out of Taber, Alberta. Summary of Operations: We are a Chevron Lubricants oil distributor that delivers oil/lube products to your corner oil change place to the gas plants in the middle of nowhere in AB, BC and SK. Summary of Operations: Cinch Oilfield Hauling Ltd. was founded in Grande Prairie, AB back in 2011 with 1 Texas Bed Truck. With our goals concentrated on industry respect, safety, and success, Cinch Oilfield Hauling Ltd has done exceptionally well. Summary of Operations: Our mission is to provide quality towing services, at an agreed price, in a safe, timely and professional manner. Along with an Accredited Safety Program (COR Certified since 1994), we have the most comprehensive insurance policy in the industry. Summary of Operations: Continental Cartage deals in flat deck, heavy haul and specialized commodity. We serve mining, oil and gas, steel, forestry and more. We are a member of the Landtran Group of Companies. Summary of Operations: Structural wood product manufacturing. Summary of Operations: Custom Landtran provides heavy haul transportation services. We have the capacity to haul virtually any commodity, ranging from small commodities to heavy equipment. Our heavy haul business serves clients in the construction, mining, pipeline, and other industries. Summary of Operations: Gravel Sales, Water sales, Equipment Rentals, Custom Crushing. Heavy Hauling. 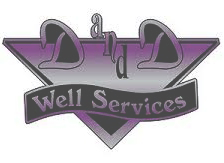 Summary of Operations: D and D Well Services is a family-owned and operated Alberta based oilfield transportation company. Located in Grande Prairie, we provide top of the line rig mobilization and oilfield equipment hauling services throughout Western Canada. Summary of Operations: The company is committed to providing high efficiency drilling rigs with top of the line equipment for our clients that greatly enhances performance and profitability. Honesty and integrity are the keys to building the working relationships necessary to achieve these goals. Summary of Operations: We specialize in Oilfield hauling and rentals throughout Alberta. We have 40 and 45 tonne picker trucks, lowboys, hiboys and more. We rent Rig Mats and Tanks. We maintain COR and work with ISN and Comply works. Summary of Operations: We offer temporary fencing, portable toilets and front-load and roll-off services. Everything is set up to customer specifications and all employees are equipped with PPE. Summary of Operations: We have two branches within Alberta with a total of approximately 700 employees and 1000 pieces of equipment. We run both within Canada and the United States hauling a variety of products from general freight to cryogenic tankers. Summary of Operations: Diversified Transportation Ltd. commenced operations in Fort McMurray in 1966 and has become one of Canada's leading "People Transportation" companies specializing in employee transportation. Summary of Operations: Divine Flooring delivers hardwood flooring to customers and builders in Calgary, Edmonton and surrounding areas. Summary of Operations: Since 1970, Double L Towing Ltd. has been Strathcona County's only full-service local and long-distance towing company. From light loads to heavy loads, we can do it all. Car stuck in the snow? Dead battery? Give us a call anytime, day or night. Summary of Operations: Doug's Vacuum Truck Service provides a wide range of oilfield services for industrial projects. We clean up spills, tanks and hydrovac. Available 24/7. Summary of Operations: Specialized flat deck/crane and hotshot company specializing in the hauling of construction commodities a well as oilfield. We've been serving clients for 20 years. Duckering’s International Freight Services Inc.
Summary of Operations: Duckering's International Freight Services Inc. has been servicing a diverse group of clients with long-haul trucking across the United States and Canada since 1994. Summary of Operations: General freight in the Western Provinces and Western States. Summary of Operations: We have over 40 units servicing Edmonton and Alberta including day cabs, bunks, body jobs, reefer units, power tailgates, tandem van and more. Elite Crane & Rigging Ltd.
Summary of Operations: Elite Crane & Rigging Ltd. was founded in 2018. 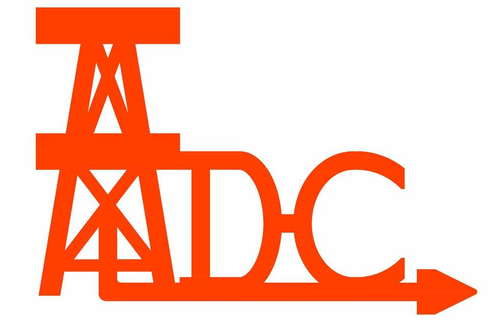 The company specializes in the oil, gas and the construction industries in northern Alberta and BC. The company is operator owned and operated, providing a personalized service. The company presently operates out of facilities located in Grande Prairie, AB - the main service areas of northwestern Alberta and the BC Peace Country area. Summary of Operations: EMSTAT Ltd. is currently a seasonal company which caters to transporting Wildland Fire Fighters to and from ESRD fire camps and staging points. We are working on expanding our service to provide non-regular shuttle service to Slave Lake and other destinations within north Central Alberta. Summary of Operations: We ship pipe and other products from our three Alberta sites throughout Canada and the US. We specialize in oil and gas well casing and tubing, heat treating and EVR lock connections. Summary of Operations: EW Transport provides over-dimensional, heavy equipment, and deck freight transportation services to customers across Canada. We have 10 power units, RGNs, stepdecks, flatdecks, super b, and trombone trailers as well as access to multiple rental combinations. We have in-house piloting and hotshot services with 24 hour dispatching. F. Benstead Picker Service Ltd.
Summary of Operations: F. Benstead Picker Service Ltd. has a 45-tonne picker used in the oil patch and for power line work. I have also been a crane operator for 41 years. Summary of Operations: Two distribution facilities in Calgary with one fleet. Grocery merchandise hauled out of the Food DC. Hardware and general merchandise hauled out of the Hardware DC. Twelve company tractors and 20 drivers plated in Alberta which handle delivery to Calgary Co-op. Thirteen lease operators that deliver to grocery and hardware stores in Alberta, Saskatchewan and BC. These units are all pro-rated for use inter-regionally. 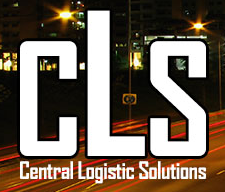 Summary of Operations: We offer LTL services across Canada and cross-border into the US. As of January 4, 2016 we introduced zone-based rates for customers shipping between Canada and the US. Summary of Operations: School bus operation of 5 buses. Contract school runs with Rocky View School Division. Private charter services. Summary of Operations: We have more than a century of experience providing safe and reliable transportation for students across Canada and the US. Committed to easing daily transportation challenges. Summary of Operations: Trucking frozen, liquid, refrigerated freight. Summary of Operations: Delivers transportation and storage solutions for leading producers in Western Canada's oilpatch. We can handle all your equipment, drilling, mud and mat hauling and more. Summary of Operations: We consider health, safety, security, and environmental performance to be our top priority. Our objective is zero incidents! We have extensive oil and gas industry knowledge; transportation, materials management, and logistics experience, specifically as it relates to the Alberta Oil Sands. Summary of Operations: We are a flat deck transport company hauling goods throughout Alberta and western Canada. We currently have six power units and 11 trailers (step-decks, tridems and Super Bs). Summary of Operations: Transportation of fuel and equipment. Summary of Operations: Transportation of petroleum products. Summary of Operations: Need something hauled? We have a truck for that. Equipment includes loaders, scrapers, 200 barrel tanks, pickers, specialty hauling and more. Gateway Mobile Steam 2006 Ltd.
Summary of Operations: Water and sewer construction, as well as directional drilling. Summary of Operations: One of the largest temperature controlled truck load firms in North America, H&R Transport’s headquarters are located in Lethbridge, Alberta. All company operated trucks are equipped with Cancom satellite tracking and messaging. 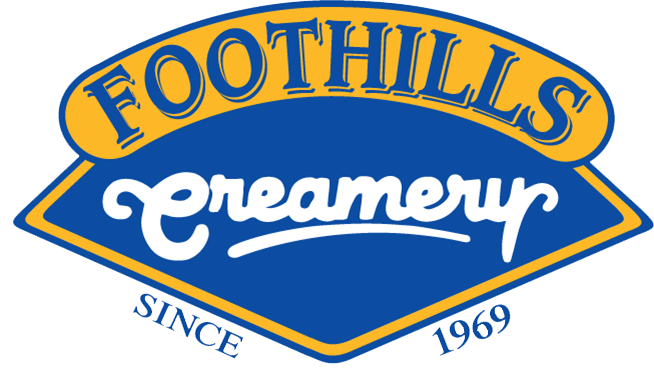 The company was founded in 1955. Summary of Operations: We're in the lumber industry. Summary of Operations: When you need exceptional services and transport to any oilfield in Central Alberta, call Hellbound Services Corp. in Eckville 24 hours a day, seven days a week. Vac trucks, potable water or oilfield hauling. Record of no injuries and zero accidents since 1994. Summary of Operations: LTL services between Camrose, Edmonton, Calgary , Wetaskiwin and Provost. LTL interline service worldwide. Specialized pipe hauling, stringing and secure storage facility.Flat deck, trombone and pole trailers. Summary of Operations: Core services include overnight LTL, customized freight solutions, flat deck specialists and double stack logistics fleet. Our growth is the result of strong focus on customer service and satisfaction. Summary of Operations: With our fleet of 15 trucks we provide water, vacuum and tank truck services to drilling and service rigs across Western Canada. We've been serving the oilfield industry for almost 20 years. Summary of Operations: Our services include truck rental (truck and driver only), single and tandem axle tractors, day cabs and bunk units, vac services, potable and more. Call us for more information or pricing. Summary of Operations: Based out of Grande Prairie, Alberta and servicing the oilpatch for over 35 years Hitch’em Oilfield Hauling provides quality 24 hr Picker, Bed Truck, Texas Bed, Winch Tractor & Hotshot service to British Columbia, Alberta, Saskatchewan & the North West Territories. Hitch’em Oilfield Hauling is fully compliant with ISNetworld, Complyworks, PICs & COR. Focused on Safety and superior service we have a wide range of equipment to meet your needs. Whether it’s moving a tank farm, rig camp or service rig the same care and pride is taken with a 100lb tool as is with a 100,000lb building. Summary of Operations: Integrity Movers Ltd. provides the highest level of quality, competency, and efficiency to every move we facilitate for our clients. We continuously strive to provide the most professional and complete moving experience within the industry. Summary of Operations: Inter Pipeline is a major petroleum transportation, storage and natural gas liquids processing business based in Calgary, Alberta. We own and operate four business segments operating in western Canada and Europe. Our pipeline systems span over 7,800 kilometres in length and transport approximately 1.4 million barrels per day. Summary of Operations: Iron Duke Transport Ltd. operates out of Lloydminster, Alberta. We currently specialize in crude oil hauling. Summary of Operations: We are a third generation trucking company providing daily expedited service to and from Western Canada. Our family owned business has built a solid reputation with over 60 years in the industry. We have terminals across Canada. Summary of Operations: Our services include oil and gas, servicing; oilfield equipment and/or storage tank cleaning services cleaning; pressure washing services cleaning; mobile steam cleaning services road transport and vacuum truck services. Summary of Operations: We are an in-home delivery service provider throughout Alberta and some points in BC. We haul furniture and appliances for the largest home furnishings retailer in Canada. Summary of Operations: JBS Carriers, the transportation arm of JBS USA, is a Multi-state and Regional truckload carrier handling both refrigerated and non-refrigerated freight. Our terminals are located in Greeley, Colorado; Green Bay, Wisconsin; Hyrum, Utah; Cactus, Texas; Pittsburg, Texas; and Oakwood, Georgia; with regional operations in the Midwest and Western states. Summary of Operations: Based out of Edmonton and Prince George we haul timber products. For more information, visit our website. Summary of Operations: Jones Transportation Inc was formed in 1999. We are a multi modal asset based Transportation provider. We offer full load open deck service all over Western Canada, over dimensional capabilities, tractor service, container drayage in Edmonton and Calgary, heavy transload abilities from pipe to pallets, intermodal service on CN or CP in Canada/US, as well as logistic moves all over North America. Summary of Operations: Warehousing and general freight. Summary of Operations: We are a full service transport carrier delivering throughout Canada and the U.S. We have a large fleet of 1-tonnes, tractors, trailers, pilot trucks and pickers. We also have a COR certified safety program and are using ISNetworld, PICs, and Complyworks. Summary of Operations: In 1962, Ed King began working with Husky Energy after recognizing an increased and ongoing demand for fuel services in the Heavy Oil industry. After 40 years in the business, Kings has evolved from a simple fuel delivery company to a complete fuelling and lubricant services company. Today, Kings is seen as the standard of excellence for fast, reliable fuel services, and is recognized across Alberta and Saskatchewan. Summary of Operations: At Kingsway Transport we are proud of our long term history of providing quality customer-centric supply chain solutions since 1941. We are committed to surpassing your service expectations, and helping you achieve your business objectives. Whether you require overnight LTL service in Ontario and Quebec through our road network; the ability to move your product via intermodal or road into western Canada; or cross border shipping throughout North America, Kingsway Transport can provide you a solution. Summary of Operations: KRC Enterprises Ltd. was established in 1999. Ken is the sole owner/operator of the business and he originally started trucking in 1976. He moved from trucking to operating heavy equipment, ranging from a rubber track D50 mini track hoe to a 100 yard bucket dragline. He then returned to trucking full time, hauling all types of heavy equipment, oilfield equipment and construction equipment, including but not limited to shacks and C-cans. KRC Enterprises also has pilot trucks available for wide loads. With Ken's 30 years of experience, you can rest assured that your job will be done safely and in the agreed upon time, as well as to your complete satisfaction. Ken is looking to build a bigger clientele and would be happy to answer any and all questions about what can be hauled. He is willing to travel anywhere in the western Canadian provinces as well as the territories. Summary of Operations: We provide truckload (FTL) and less than truckload (LTL) service to and from most points across North Eastern Alberta, including Lac La Biche, Plamondon, Conklin and more using our own fleet and a network of associated carriers to points beyond our daily transportation areas. Summary of Operations: Lamb's Trucking Ltd. provides oilfield hauling, for which we provide in-house training and have a culture of safety. We also provide oilfield rentals including oil tools, well-site platforms, LED light towers and fuel pump systems. Summary of Operations: Based in Edmonton, Landtran Express provides Domestic LTL and Regional TL service to communities in Northern Alberta, Northeastern British Columbia & NWT. “Service that’s Delivered”. Summary of Operations: Landtran Logistics Inc. is an experienced provider of dedicated delivery, warehousing, cross-docking and distribution services across Western Canada. Acting as their clients' own internal transportation department, Landtran Logistics' dedicated services provide an alternative to regular truckload and less than truckload transport. Using industry-leading technology and processes, their expertise extends to intermodal, rail, air and marine shipments. Summary of Operations: Clearing and maintaining Alberta highways; cleaning up crossovers and sanding approaches with the use of snow plow trucks, loaders and other equipment. Summary of Operations: LTT operates as a regional carrier within throughout Alberta, BC, Saskatchewan, Manitoba, Montana, Idaho and Washington. We are authorized to haul LCV and are a proud member of the PIC Program with a Safety Fitness Rating of “Excellent” on our carrier profile. Summary of Operations: Libra is an interprovincial contract carrier providing flat-deck freight transportation throughout western Canada. Libra hauls a variety of products including palletized salt, steel products, lumber and building products. Summary of Operations: Light Speed has grown exponentially to the point it now operates a large transport fleet serving all of North America. We are well accustomed to hauling any type of dry freight including: fresh or frozen fish, meat, poultry, produce, French fries, dairy, candy and more. Summary of Operations: Canada's food and pharmacy leader, with a network of corporate and independently operated stores in communities across the country, and employing close to 200,000 Canadians. Summary of Operations: A local hauler, specializing in waste and recycle services for Industrial and Commercial customers. We offer front load and roll off services, for both permanent and temporary customer needs and can haul special waste materials, such as asbestos. Summary of Operations: General oilfield hauling (hot shots, miscellaneous, parts). Pipe hauling, Sm. drilling components, Sm. service rig components. Summary of Operations: Manitoulin Transport has the most extensive transportation network in North America, making it easy to provide dependable on-time delivery and faster transit times. Sustained by its 50 years experience, Manitoulin developed the transportation knowledge that is relied and trusted by clients in various industries. Manitoulin’s command of the transportation industry, together with its progressive technology, innovative equipment fleet and cross Canada locations can ship your world confidently. Summary of Operations: Mantei's Transport Ltd. has been in the bulk fuel business for over 40 years. Our bulk fuel division consists of approximately 70 trucks and 80 trailers. We have the capacity to haul a variety of products, most commonly ground and aviation fuels. Summary of Operations: Scrap Metal recycling yard. Maritime Ontario Freight Lines Ltd.
Summary of Operations: Maritime-Ontario Freight Lines Limited (M-O) is a diversified multi-modal carrier providing a host of services COAST TO COAST within Canada. Summary of Operations: We are one of the leading supply chain providers for global quick service restaurants. We provide frozen, chilled and ambient temperature products in the same delivery. More than 60 years of successful partnerships. Summary of operations: We can load or deliver bulk fuels, chemicals and lubricants. We deliver by regularly scheduled shipments or by order. We are a Petro Canada wholesale distributor allowing us to meet the needs of our customers throughout Northern Alberta and Canada. Summary of Operations: Maxxam is the Canadian market leader in analytical services and solutions to the energy, environmental, food and DNA industries and a member of the Bureau Veritas Group of companies – a world leader in testing, inspection and certification services. Summary of Operations: Meridian Manufacturing is committed to manufacturing the most innovative and quality storage and handling products to serve the agricultural, industrial and oil and gas industries. Summary of Operations: Monarch Transport is the Truckload (FTL) Van Division of the Landtran Group. Monarch offers FTL cross border transportation to/from USA and nationally within Canada. Tandem and Tridem trailers available. Summary of Operations: Supply transportation equipment to pick up and deliver various oilfield supplies and equipment. Summary of Operations: Our services include LTL, truckload, dangers goods transport, temperature control, appointment deliveries, customized reporting, EDI capabilities and specialized services. Summary of Operations: At MTS, we are committed to customer service. Our facilities are designed to ensure maximum efficiency, security and safety. Our objective is to improve supply chain productivity, reduce material transportation costs and provide alternative material distribution solutions. This is accomplished by selecting strategic locations and combining the inherent efficiencies of the railway and intermodal containers to move material over long distances with the precise capabilities of trucking services. Ultimately, we meet or exceed all standards for racking, tracking and reporting of inventories in our care. Summary of Operations: Transportation of rental equipment and rental related materials. 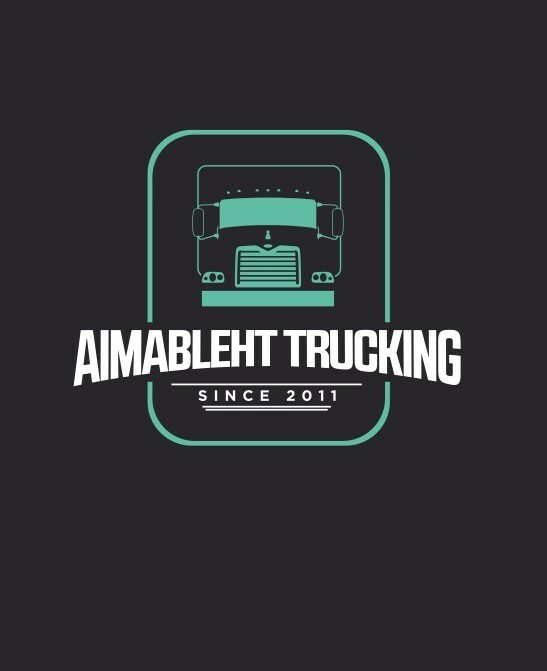 Summary of Operations: Oilfield Hauling company who focuses on service work, facility management and heavy haul , priority winch trucks, bed trucks, multi-wheel combinations, Jack and Roll crews. Based out of Calgary and Drayton Valley. Summary of Operations: New Way Trucking has been operating since 2004. We have 2 divisions with 6 terminals located in Calgary, Edmonton, Greater Vancouver, Greater Toronto, Enterprise (NWT), and Winnipeg. We specialize in inter-provincial and international LCV service, Reefer Service, and all kind of tractor service. Summary of Operations: Night Hawk Truck Lines offers a variety of long and short haul services. Serving customers in Canada and the US, we haul a wide range of equipment and product. No Limit Contracting Canada Inc.
Summary of Operations: North Star Trucking is a construction and readi-mix concrete supply company that was incorporated in 1997. North Star provides excellent service, superior products, and experienced staff. Operating out of our 10,000 square foot maintenance facility in Stettler, AB, we are proud to serve the Stettler and surrounding area. Summary of Operations: Trucking of access mats, bridges, rig mats and equipment. We also have excavators and loaders. 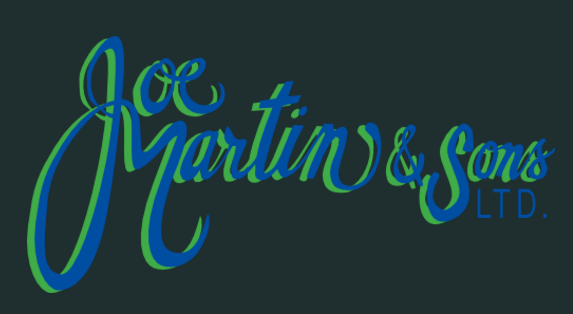 With more than 10 years of experience we understand what's needed to make a quality mat. Summary of Operations: We run x2 tandem dump trucks, x1 tri-axle pup. We also run x2 heavy haul tandems and more. We cover all our own haulage needs and some third party heavy equipment moves. Summary of Operations: Scheduled five-axle dispatches from Calgary or Edmonton to Vancouver and return. Summary of Operations: Located in Edmonton and Leduc, we service the greater Edmonton area. Summary of Operations: Oil States Energy Services (Canada) Inc. engages in supplying, operating, designing, and manufacturing wellhead isolation and wellhead fracturing tools to the oil and gas industry. Its products include ball launchers, coil tubing frac heads, tubing isolation tools, casing savers, frac stacks, mix-master tools, frac valves, ball catchers, and rental equipment. 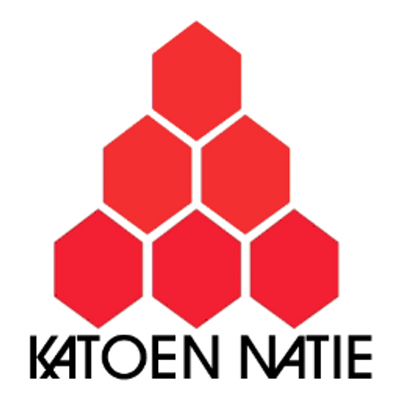 The company was founded in 1988. In 2005, Stinger Wellhead Protection, Inc. became a subsidiary of Oil States International, Inc. OSES Canada focuses on safety and security of individuals and the environment during fracturing and wellhead related activities. Summary of Operations: We provide tank, vacuum, steam and pressure trucks and trailers to oil and gas producers. We mostly do production fluid hauling, pressure testing, chemical hauling and injection, cleaning using vacuum truck and more. Summary of Operations: Omega Morgan provides Specialized Heavy Rigging and Transportation services throughout North America. Omega Morgan began as Morgan Industrial in 1991. The original founders had a vision of bringing higher levels of service to rigging and machinery moving in the Pacific Northwest. In 2003, Morgan acquired Omega Riggers to become Omega Morgan. Since that time, Omega Morgan has concentrated on customers of all sizes in industries spanning energy, technology and aerospace. With an employee base of 300, Omega Morgan serves the areas of Oregon, Washington, Alberta and beyond. Omega Morgan’s specialties of Heavy Rigging, Machinery Moving and Millwrighting has expanded in depth and scope. While we get the most recognition for large projects like moving transformers, bridges and sensitive technical equipment, we pride ourselves in moving smaller projects with safety, efficiency, strength and trust. Large or small, we do it all. 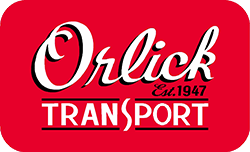 Summary of Operations: Orlicks was formed to be a leader in the transportation industry serving Western Canada. Orlicks provides time sensitive, efficient and cost effective delivery of a variety of products between manufacturers and warehouses with respect for safety and the environment. Summary of Operations: Overland Transport Ltd. is a privately owned transportation company based out of Grande Prairie and Red Deer. We provide exceptional service throughout Alberta, BC and Saskatchewan. We provide light and heavy hauling in the oil and Gas, forestry and agricultural industries. 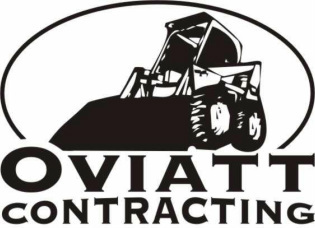 Summary of Operations: Oviatt Contracting is based out of Calgary and provides the following services: Bobcat/Excavator Services; General Excavation; Demolition; Acreage Development; Dump Trucks/End Dumps; Supplier of Loam and Aggregates and Septic System Design and Installation. Summary of Operations: We are a long haul company that transports good mainly to the lower 48 States and back to Canada, mainly Alberta. Summary of Operations: Trucking and warehousing of general freight. We operate an asset based trucking fleet of 50 trucks and a 60,000 square foot warehouse. We serve manufacturers and distributors in Western Canada and the Pacific Northwest. Summary of Operations: Within the Landtran Group, on international LTL moving between all points in Western Canada, the western United States and major centers in Mexico. With C-TPAT, F.A.S.T, and C.S.A Customs Certifications, we offer expedited, hassle free border crossing. 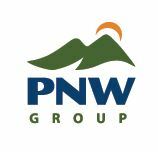 Summary of Operations: Pacific Northwest Moving has been a proud moving agent for United Van Lines and the most preferred moving company of Yukon for over 50 years. We provide services for long distance or local moves and offer a variety of options to help you plan and pack your move. Summary of Operations: Pneumatic operations based out of Kitscoty, Alberta. Summary of Operations: A licensed and bonded freight shipping and trucking company running freight hauling business from Calgary, Alberta. Summary of Operations: We are a dry bulk pneumatic carrier operating out of Red Deer, Alberta. Primarily we transport recycled bottle glass and sand within Alberta. We are happy to provide quotes for any transportation needs. Summary of Operations: Sell and deliver PepsiCo beverages. In 2010, PepsiCo Canada merged its beverage bottling and brand business operations, forming one unified Canadian beverage organization, PepsiCo Beverages Canada..
Summary of Operations: Garbage and recycle hauling and snow plowing. We not only remove waste, we dispose of products in a way they may create usable raw materials. Provide services for both homeowners and developers. Summary of Operations: Canada-wide oilfield rentals and hauling. Three locations in Alberta: Valleyview, Rocky Mountain House and Lac La Biche. Pinnacle Pipe & Heavy Haul Ltd.
Summary of Operations: Pinnacle Pipe & Heavy Haul Ltd. specializes in oilfield pipe and heavy equipment hauling throughout Western Canada. We cover distances from 50 kilometres to 1,500 kilometres and more with all types of equipment. Summary of Operations: Pitbull Energy Services was Alberta-born and Alberta-raised to become Western Canada's top dog in field service solutions.Like its canine namesake, Pitbull is aggressive. Our people are relentless in chasing innovation and excellence in service, safety and performance. Simply put, we earn our reputation, job after job, by exceeding customer expectations. Summary of Operations: PMC is an industry leading transportation and midstream provider. We specialize in transportation, storage, processing and marketing solutions for crude oil, natural gas, and natural gas liquids (NGLs). PMC links petroleum producers with refiners and other customers via pipeline, truck and rail transportation. We also operate strategically located facilities for crude oil and NGL storage, separation of NGL from natural gas and fractionation of NGL into specification products. With our expertise in logistics and marketing services, we are positioned to provide our customers with flexible, value-added services. Summary of Operations: We supply and install chain link fencing for industrial, oilfield and more. Our commercial and oilfield divisions hold all of the necessary insurance, safety tickets, COR safety program training and bonding to satisfy all of your company’s requirements. Summary of Operations: We have over 20 years of diverse experience in exterior finishing throughout Western Canada. We specialize in handling your entire exterior renovation project or new build. Summary of Operations: We are here to make sure your container goods are picked up and delivered efficiently to the rail without any additional unwelcome charges. Our fleet of drivers are familiar with both CN and CP and are proficient at securing your empty or loaded container to one of our large number of chassis. Summary of Operations: Professional Excavators has delivered earthworks and site services for civil and commercial construction projects in Calgary and the surrounding area since 1975. Summary of Operations: Qualitas Oilfield Services' transportation fleet ranges from semi flat-deck trucks to 1-tonne rocket launchers. Our inspection division manages both in-house and third-party services. Summary of Operations: Randy's Auto Body is a well established company, we have been serving High Prairie and area since 1987. We use top quality Dupont paints. We take pride in our quality of work. We will do our best to get your vehicle back to you as soon as possible. Summary of Operations: From our humble beginning in 1998, one truck at a time, we have consistently delivered on our commitment of providing reliable and specialized transportation and hoisting services across oil & gas, construction, pipeline, agriculture and aviation sectors in Western Canada. Rangeland prides itself in having successfully completed numerous projects and moved all types of freight, from F18 aircrafts, industrial machinery, transformers and over-dimensional equipment to even houses. 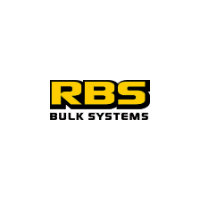 Summary of Operations: RBS Bulk Systems provides high-quality bulk transportation services throughout Western Canada. Our head office is in Calgary, Alberta and our two main operating terminals are in Calgary and Fort Saskatchewan, Alberta, about 14 miles northeast of Edmonton. Summary of Operations: Recall Transport is an industry-leading trucking company based in Edmonton, Alberta that prides itself on the ability to move freight anywhere. Summary of Operations: Red Flag tandem tilt deck winch trucks are both versatile and specialized to provide precisely the right equipment for your needs. We use drive-on decks that are lower to the ground and the heaviest spec solid steel frames in the industry. This ensures the safe and controlled loading/unloading of your equipment. Our units are the ideal option for rental, construction, warehouse or oil and gas companies: they can easily and safely transport man lifts, zoom booms, trenchers, forklifts, gen-sets, portable lighting units, pavers, packers, reach trucks, order pickers or just about anything else with wheels, tracks or skid frames. Summary of Operations: Fabrication company. Summary of Operations: We offer a variety of services including 150 tonne crane, tri-drive intruder, 8x8 beds, 55-ton pickers, tridem winch tractors and more. Our operations include moving and skidding of drilling rigs and transportation of a variety of equipment. Summary of Operations: Rene Transport is an Alberta-based transportation company with bases in both Edmonton and Calgary. Services offered by the company include truckload service, shunting, warehousing, truck and trailer service and repair, as well as heavy duty towing. Summary of Operations: We are a log hauling company out of Lac La Biche in northeastern Alberta. 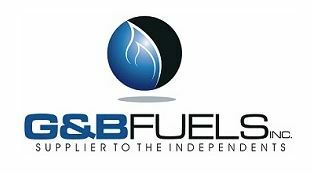 Robertson Bulk Sales Calgary Ltd.
Summary of Operations: Fuel and Oil bulk sales. We deliver to customers throughout Southern Alberta and are COR certified. We continually train our staff and upgrade our equipment. Summary of Operations: Rocksteady oilfield is a locally owned and operated oilfield service company based in Peace River, Alberta. The management team at Rocksteady have a combined 20 years of oilfield experience, the majority of it spent in heavy oil operations with extensive field and plant experience. Summary of Operations: Operating the Fifth Largest School Board in Alberta. Rocky View Schools serves residents to the west, north and east of the City of Calgary. The jurisdiction provides educational services to almost 25,000 public students in Kindergarten to Grade 12 through 53 schools. Rocky View Schools is the fifth-largest school board in Alberta, employing over 2,500 staff. Rocky View Schools operates one of the largest regional student transportation systems in Alberta. This means that we not only provide transportation services to Rocky View students, but also to Calgary Catholic students, who reside within our communities. Summary of Operations: Rosenau Transport Ltd. has been servicing Western Canada for over 50 years with 24 locations in Alberta, British Columbia, Saskatchewan and Manitoba. We offer both dry van and heated service and have a large fleet of flat decks. Ross Agri Supplies (Camrose) Ltd.
Summary of Operations: Sales and delivery of aviation fuels, wholesale and retail, bulk and drummed, out of Whitecourt, Alberta. Summary of Operations: Ryash Transport hauls heavy equipment, prefabricated oilfield structures, buildings and more. We can provide services for anything from LTL shipments and single loads to moves requiring multiple loads. We are also Canada/USA bonded. Summary of Operations: RyTy Developments Ltd. provides heavy hauling, specialized hauling and off road transportation services to the oil and gas industry in north western Alberta and British Columbia. Our fleet of equipment includes late model winch tractors, bed trucks, and picker truck. 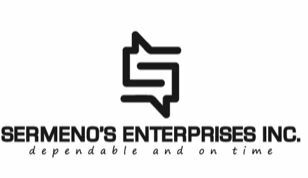 Summary of Operations: SALCO Hauling Ltd. is a registered, bonded and insured transport company established in Alberta since 1991. Over the years we have built an excellent reputation as a reliable carrier in the flat deck transportation industry. Our company has a solid understanding not only of what the customer’s critical needs are, but also how to meet them in the most speedy and cost effective manner possible. Summary of Operations: Schur Trucking Ltd. provides transportation of oilfield equipment including drilling rigs and related specialized equipment. Summary of Operations: Seaboard is a leader in the Bulk Truckload Industry through its safe, reliable and professional operating philosophy. The Seaboard Transport Group has grown providing service to petroleum and chemical industries while diverging into dedicated transport services. Summary of Operations: City pick-up and delivery, and full-load operations. Summary of Operations: We have a fleet of trucks ranging from 1-tonne deck trucks to 30 tonne picker trucks. This includes tandem and tridrive winch tractor. Our trailer fleet includes gooseneck trailers hi boy trailers and more. We are members of Comply Works and ISN. Summary of Operations: Deliveries for Dukes Building Supplies. Summary of Operations: We have the LARGESY HEAVY Towing Capabilities between Edmonton and GP. Our 50 ton wrecker, as well as our landall trailer, and Perterbuit tandem axle tilt deck truck. We are ready to assist with your towing needs. Summary of Operations: Pipe storage yard and trucking out of Calmar, Alberta. Summary of Operations: Site Direct’s Hotshot Delivery provides on-demand transportation services throughout Alberta and BC for Canada’s oil and gas, mining, forestry and construction industries. Summary of Operations: SKS Logistics Ltd. has enjoyed steady, positive growth since our incorporation in the fall of 2007. 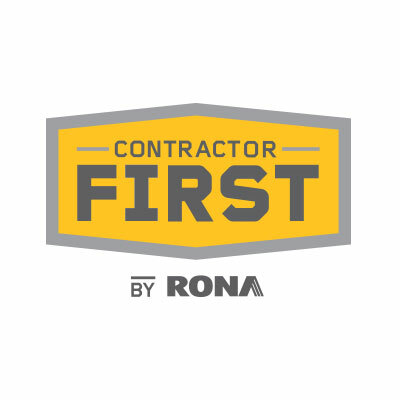 Our fleet consists of flat deck Super B's, 48 and 53-foot highboys and step decks, hot-shot service and a number of rental trailers used for on-site storage. Summary of Operations: Transportation of crude oil and other liquid products. Summary of Operations: We provide a complete offering of transportation and logistics services throughout North America. We service destinations as far away as Nunavut and Mexico City with everything from one skid to literally hundreds of skids...and we don't stop there. Summary of Operations: We provide a diverse array of transportation, distribution and logistics planning including truckload, LTL, local delivery, bonded services, consulting services and more. Summary of Operations: SOUTHLAND Transportation Ltd. is committed to safety and service in the people transportation business. SOUTHLAND operates school, charter, commuter, and specialized transportation buses throughout Alberta and in Saskatchewan. Summary of Operations: Log haul with 10 axle B train configuration in northern Alberta. 37 foot cut to length poplar logs. Summary of Operations: Established in 1976, Speedee Transport and Rolls Right Trucking provides trucking transportation to connect Western Canada to North America. Summary of Operations: We use the best technology available to manage our forests and operate our mills. Detailed forest management plans are developed by utilizing a Geographic Information System (GIS) to track data on wildlife, water courses, terrain, forest growth and more. Summary of Operations: Sprucevalley Carriers provides service for any type of freight logistics. Able to perform general and light hauling service, specialized transportation, freight management services, freight forwarding services, long haul services, international freight services, freight brokerage. Will provide the right container for your shipping and transportation needs. Summary of Operations: Local cartage and delivery services along with LTL freight services between Calgary - Red Deer - Edmonton and all points between. We also provide dedicated contract services along with special handling when required. Summary of Operations: We provide full truckload solutions to clients across North America. Our equipment includes flat decks, step decks, double drops and super B trains. Summary of Operations: Stericycle is a global business-to-business services company. We provide an array of highly specialized solutions serving healthcare organizations and commercial businesses of every size. Since our founding over 25 years ago, we have grown from a small start-up in medical waste management into a leader across a range of increasingly complex and highly regulated arenas. Summary of Operations: Steve's Livestock Transport Ltd. is a livestock hauling company. Our head office is based out of Blumenort, Manitoba with terminals in Brandon, Manitoba and Red Deer, Alberta. Summary of Operations: Stonehammer Transport provides picker, hauling and hot-shot services to the oil and gas, construction and power generation industries throughout Manitoba, Saskatchewan, Alberta and British Columbia. Summary of Operations: Stony Mountain Waste Management Ltd. (SMWM) provides a full suite of waste management solutions to the Regional Municipality of Wood Buffalo – and Lac La Biche County. Our Industrial, Commercial, and Residential services include: Hazardous/Non-Hazardous Waste Management, Oilfield Drilling Wastes and more. Summary of Operations: Syndicate Transport is Calgary based transportation company. Syndicate is our city specialist and transport freight locally. We transport freight all across Canada but specialize in the Western Canadian provinces. 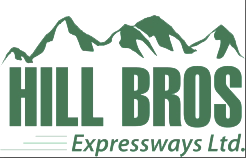 Summary of Operations: Short Hall Freight Carrier with daily service between Lethbridge and Taber and overnight service from major centres in Alberta and Saskatchewan. Our equipment consists of five tractors, 10 trailers and two straight trucks. Hot services also available. Summary of Operations: Taiga Logistic was set up to focus on helping the western branches of Taiga Building Products with their over the road movement of products from mills, distribution yards and out to retail customers throughout Western Canada. Summary of Operations: Tank Tech started in 2000. There are three owners who are actively involved in all operations from driving, equipment maintenance, and safety operations. Their experience goes back to working with previous companies. Tank Tech prides itself on reputation through quality service and a very good safety record. Tank Tech has many customers including Encana, Cenovus, Imperial Oil, Enerplus, and Schlumberger. Summary of Operations: General freight moving operation. Alberta only, heavy hauling for oilfield clients. Summary of Operations: Based out of Coleman, Alberta we are a licensed heavy and light duty mechanical and licensed welding service. Established 1974. 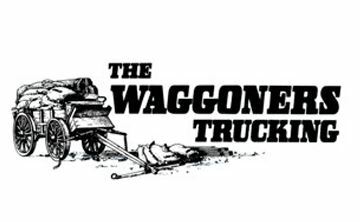 Summary of Operations: Waggoners Trucking supplies specialized flatbed service to customers in the United States and Canada with full truckload service, dedicated LTL routes, hot shot service, as well as, specialized equipment (auto-transport), servicing the medium and heavy duty trucking transportation industry. Three Peaks Crane & Transportation Inc.
Summary of Operations: We haul any material that your equipment is unable to load right to where it's needed. It doesn't matter if its Flat Roof Material, Tin Roof, Drywall or Rocks. We are innovative to work with you and get everything delivered that needs to be delivered. Our experienced operator can perform many task are able to use their training to lift a lot of different goods. Hot tubs, tractors, forklift, cars, sheds and many more. Give us a chance to prove that we are great at what we do. Summary of Operations: Rathole Drilling and Pile Driving predominately in the Oilfield industry. Summary of Operations: Since 1985 Trans-Frt. McNamara has excelled in delivering transportation, freight brokerage, logistics and distribution services throughout North America. Our mission is Service, Quality and Reliability. Summary of Operations: Trident Oilfield offers general oilfield hauling and hotshot, we have a fleet of 5 pickers 2 bed trucks 2 Texas beds and 6 tractors for all your needs. Summary of Operations: Trimac is in the business of providing bulk transportation, logistics, and related transportation services to meet the North American requirements of our customers and creating value for our shareholders by delivering value to our customers safely. Summary of operations: 110 door Truck Depot facility in Edmonton, Alberta; housing 28 Carriers which serve all of Canada. 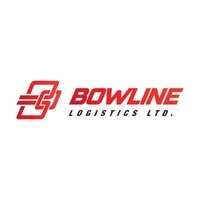 Specialize in pickup and delivery service in Edmonton handling an average of 1500 shipments per day on our Carriers behalf. Summary of Operations: Established in 2001, Tubular Optimization Services has grown significantly from a small owner/operator venture to a thriving corporation with a corporate head office, 3 divisions within Alberta, and over 50 field representatives operating on a full-time basis. Summary of Operations: We service all valve types and are acknowledged as the leading pressure safety valve (PSV) service provider in Western Canada across all industries. Summary of Operations: UniFirst is one of North America's largest workwear and textile service companies, providing managed uniform, protective clothing, and custom corporate image apparel programs to businesses in diverse industries. In addition to outfitting nearly 2 million workers in clean uniforms each workday, we also have a hand in keeping their businesses clean, safe, and healthy through our Facility Service Programs… allowing us to be a single-source solution for a variety of needs. Summary of Operations: Founded in 1907 as a messenger company in the United States, UPS has grown into a multi-billion-dollar corporation by clearly focusing on the goal of enabling commerce around the globe. Today UPS, or United Parcel Service Inc., is a global company with one of the most recognized and admired brands in the world. As the largest express carrier and package delivery company in the world, we are also a leading provider of specialized transportation, logistics, capital, and e-commerce services. Every day, we manage the flow of goods, funds, and information in more than 200 countries and territories worldwide. Van Raay Paskal Trucking Ltd.
Summary of Operations: Van Raay Paskal Trucking Ltd. operates throughout Canada and the United States, hauling feeder/finished cattle to and from our feedlots. Our drivers are committed to the safe and efficient transport of cattle and this division is essential to VRP Farms’ success. Summary of Operations: By delivering high-quality products to our customers, Vandenberg Hay Farms Ltd. not only provides trucking, forages, freight, and custom harvesting, but also offers valuable information on the various products we sell in the agricultural industry. Vandenberg Hay Farms Ltd. is your supplier for all your varieties of forage, feed, top knot baler twine, netwrap and hay preservative. 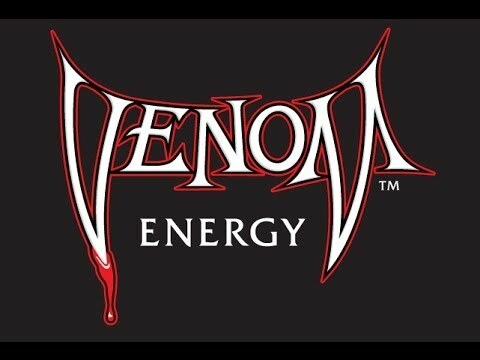 Venom Energy / 1232047 Alberta Ltd.
Summary of Operations: Oilfield hauling. Summary of Operations: Whether you’re transporting shipments locally, nationally or across borders, we can meet your needs with both short-haul and long-haul truckload services that maintain temperature controlled status no matter where you’re shipping. Summary of Operations: With over 40 years of expertise, Vertex helps clients achieve their development goals through our versatile suite of services. 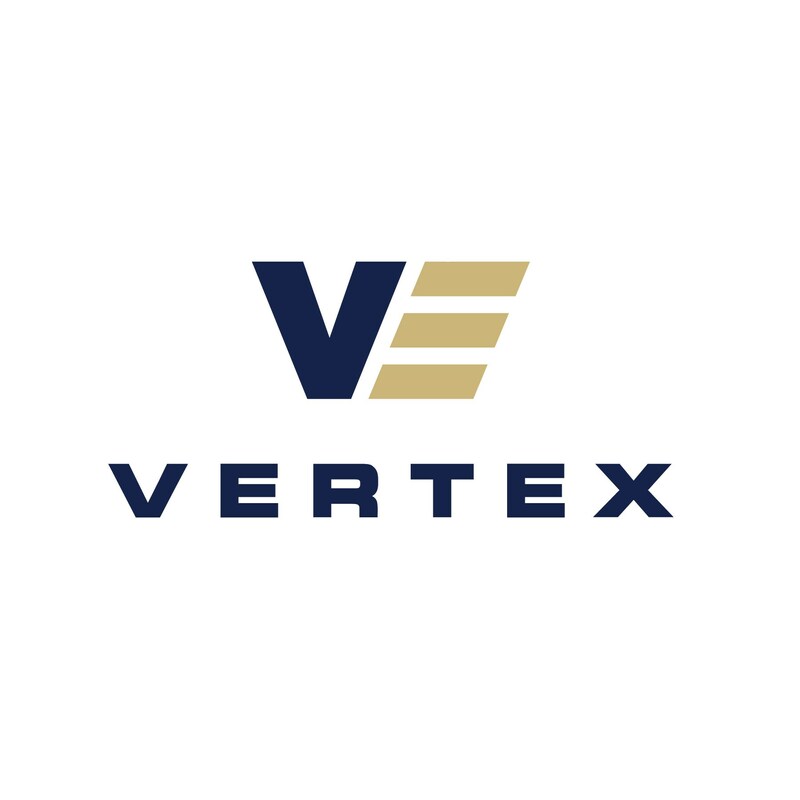 From the initial site selection, consultation and regulatory approval, through the construction, operation and maintenance phases, to conclusion and environmental cleanup, Vertex offers a diverse range of services throughout the life cycle of our clients’ projects. Summary of Operations: Volker Stevin is a well established, highly respected general contractor in the City of Calgary and the province of Alberta with a wealth of experience and expertise in projects ranging from $30,000 to $300,000,000. Summary of Operations: Delivering products for Walmart Canada. Summary of Operations: A licensed and bonded freight shipping and trucking company running freight hauling business from Sherwood Park, Alberta. Watt & Stewart Commodities Inc.
Summary of Operations: Running Canada and the US with terminals in San Angelo Tx., Lexington, SC & Claresholm, AB. 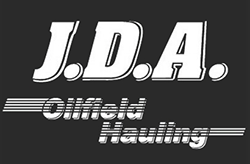 Specializing in hauling mine tires and warehousing. Summary of Operations: We specialize in transporting liquid and dry bulk commodities, bulk product handling and warehousing, serving customers across western Canada, Ontario, and the western Arctic. We are proud to be the Canadian service group for the Kenan Advantage Group, Inc., North America’s largest tank truck transporter and logistics provider. Summary of Operations: Western Midstream officially began operations as an oilfield liquid bulk transporter in 2011. Super B tanker, hauling crude oil and produced water, condensate, dangerous goods hauling. Summary of Operations: We offer a variety of equipment to cover truckload, LTL, over-dimensional and project movements through the United States and Canada. We have a truckload fleet in excess of 100 units. Summary of Operations: Whissell Contracting specializes in the transport of heavy equipment for both the construction and energy sectors. Why Not Energy Services Ltd.
Summary of Operations: Hauling fluids (tank truck) and vac truck. Summary of Operations: In operation since 2001 serving Alberta and British Columbia. We have grown to serve the needs of the oilfield by offering a wide variety of products and services. Locally owned and operated, the management and staff has a combined oilfield experience of over 50 years in the equipment rental and support industries. Our equipment is well maintained and delivered in top condition and is serviced and maintained onsite with minimal interruptions. Summary of Operations: WildRose Vacuum Services, one of Calgary’s largest haulers of non-hazardous liquid waste, offers a full range of professional sewer and septic services for residential, commercial and industrial customers in Calgary and communities throughout the surrounding area, including Chestermere, Airdrie, Bragg Creek, Okotoks and High River. Summary of Operations: We have depots in Edmonton, Grande Prairie and Peace River. Scheduled nightly runs moving LTL freight between Grande Prairie and Edmonton, Grande Prairie and Peace River, and Edmonton and Peace River. Summary of Operations: We are a heavy duty trucking outfit located in Whitecourt Alberta. We have bulkers specializing in cyclone and dustless jobs, lowboys, winch trucks and professional staff to take a load off your mind. In the many years we have been around we have taken every opportunity to improve our performance and getting the load from pickup to its destination safely and on budget. Summary of Operations: Withers LP has over 30 years of experience in oilfield transportation and tubular storage and handling in Western Canada. During that time, Withers has learned a few things about how to store your pipe and how to transport it and all your other oilfield equipment properly. And we incorporated what we learned into the design of our fleet, storage facilities and training programs to better serve our customers. 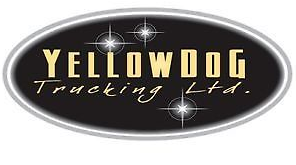 Summary of Operations: Yellow Dog Trucking Ltd. is an established leader in the Transportation community, specializing in Intermodal freight. Recognized for our exemplary customer service and extensive understanding of logistics, we remain at the forefront of the industry.